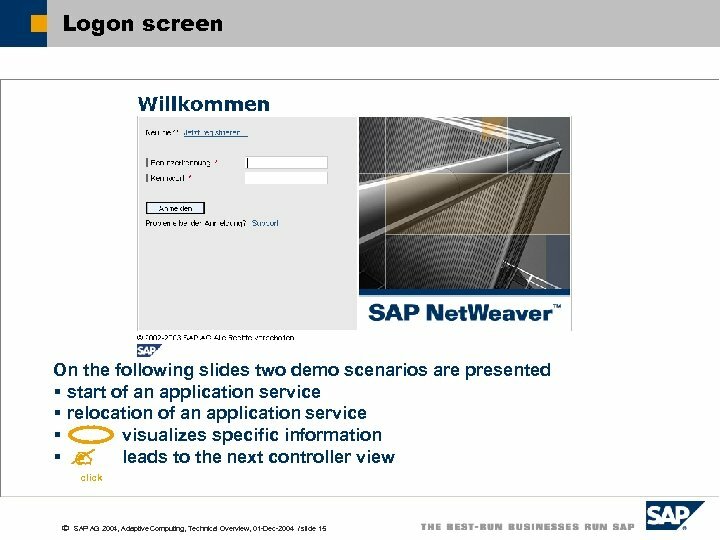 The Net. 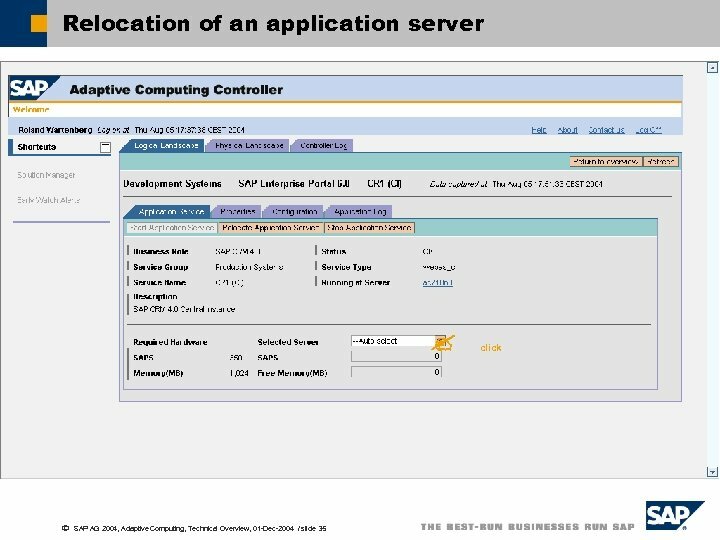 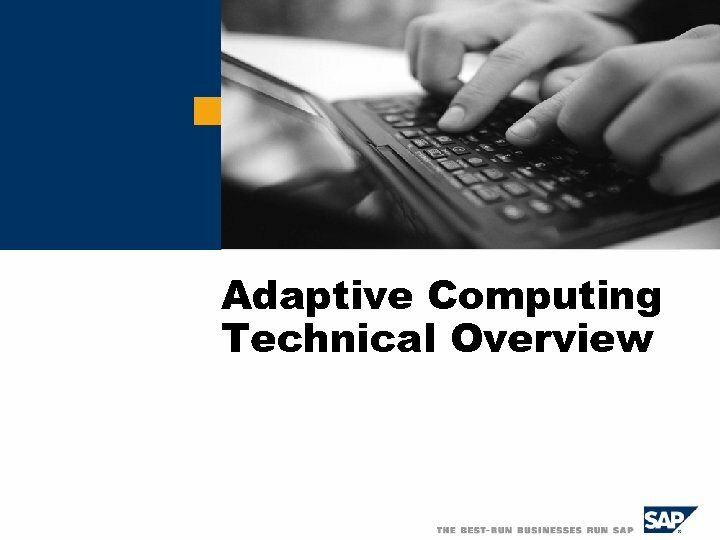 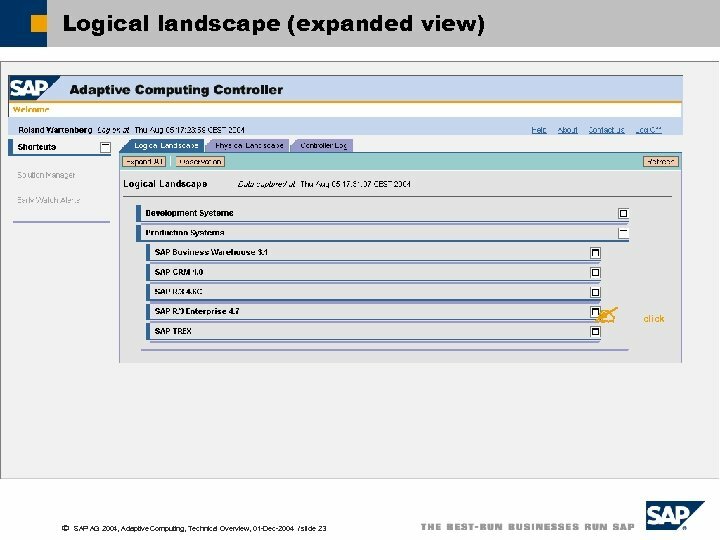 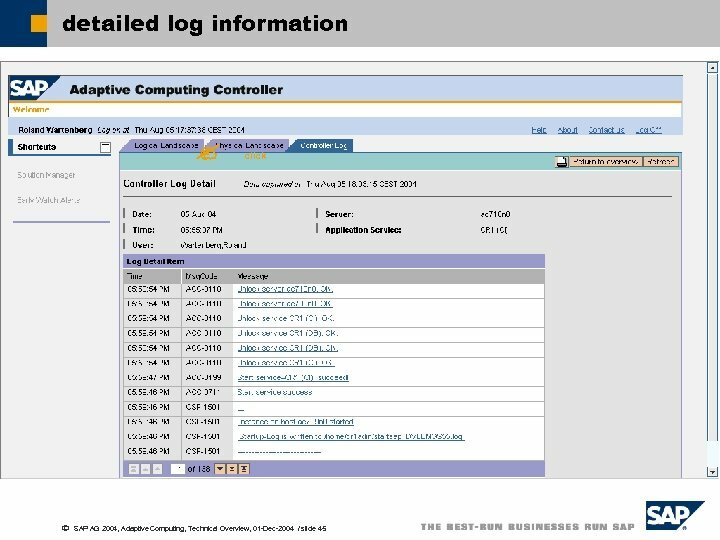 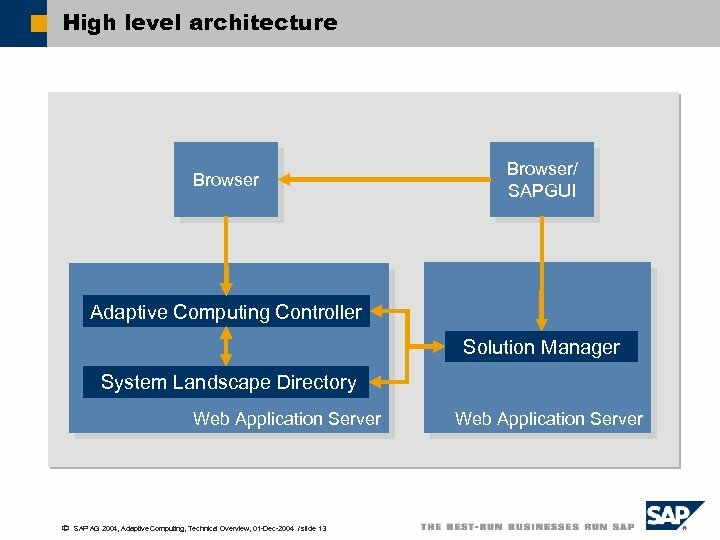 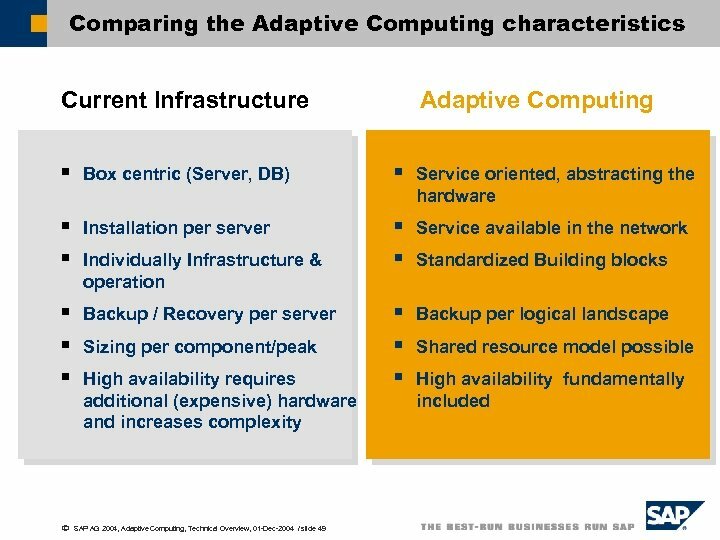 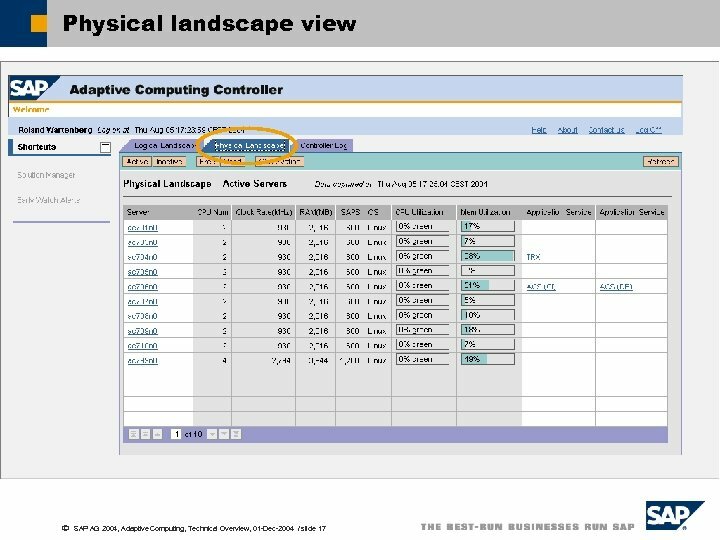 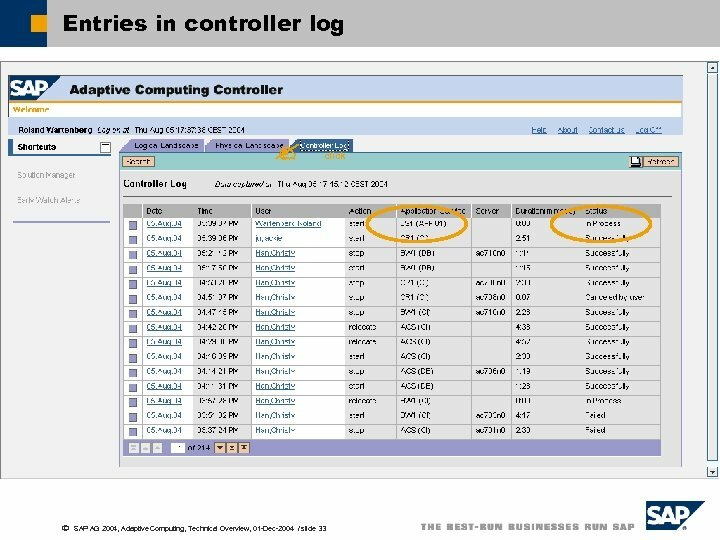 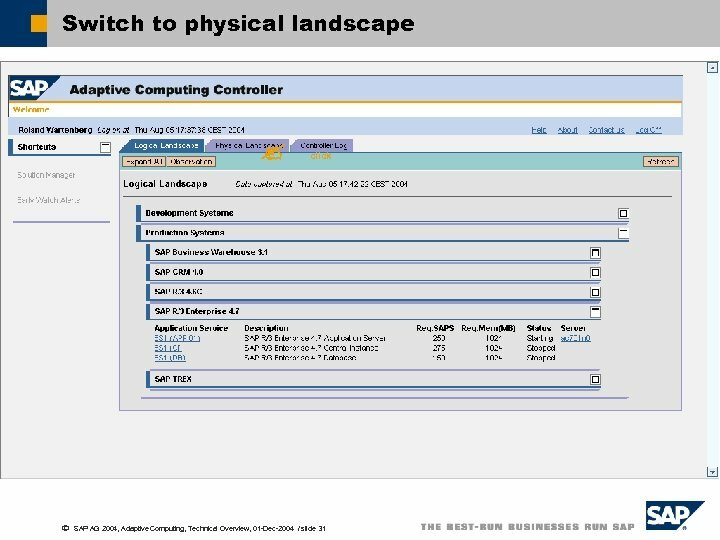 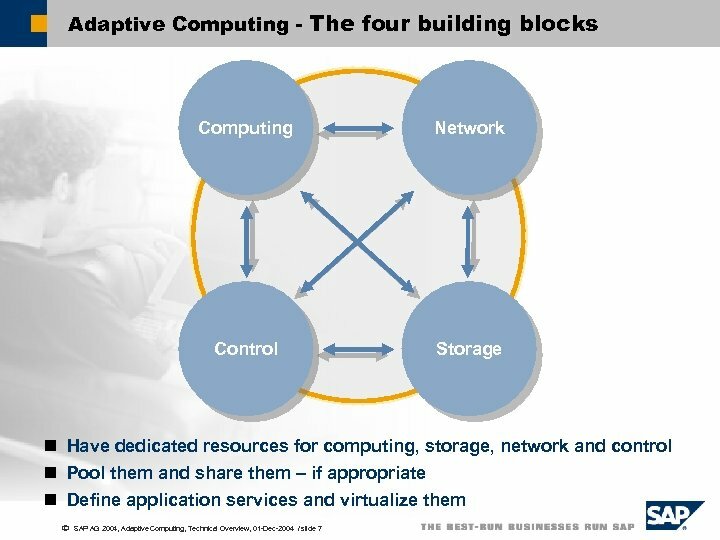 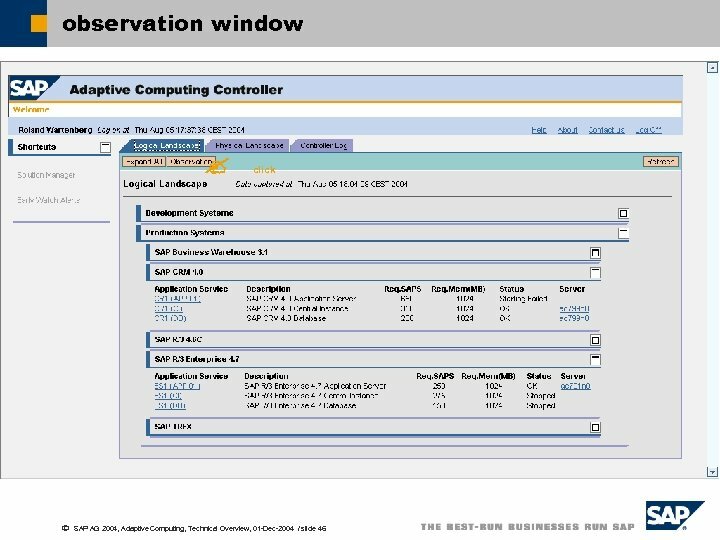 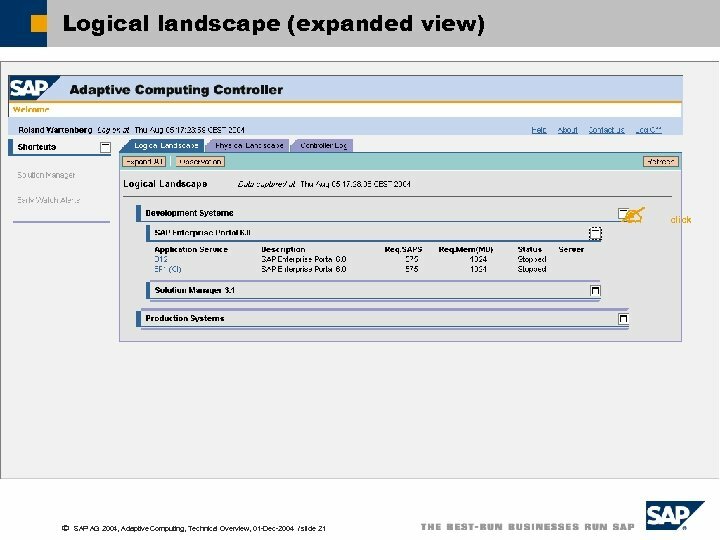 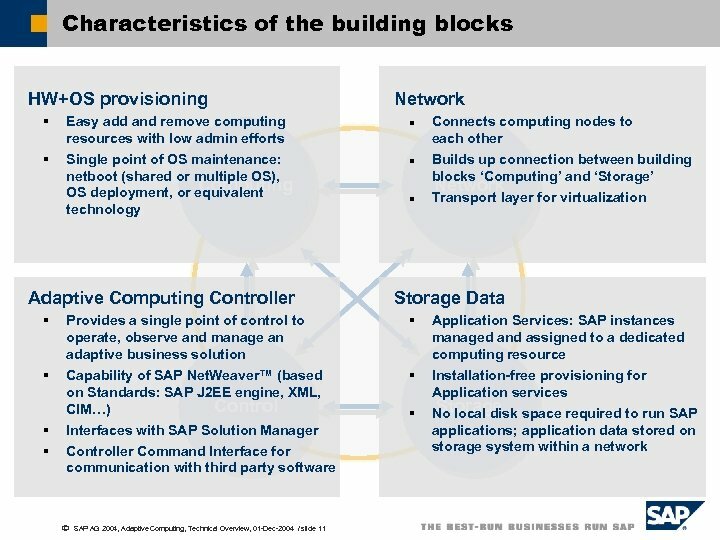 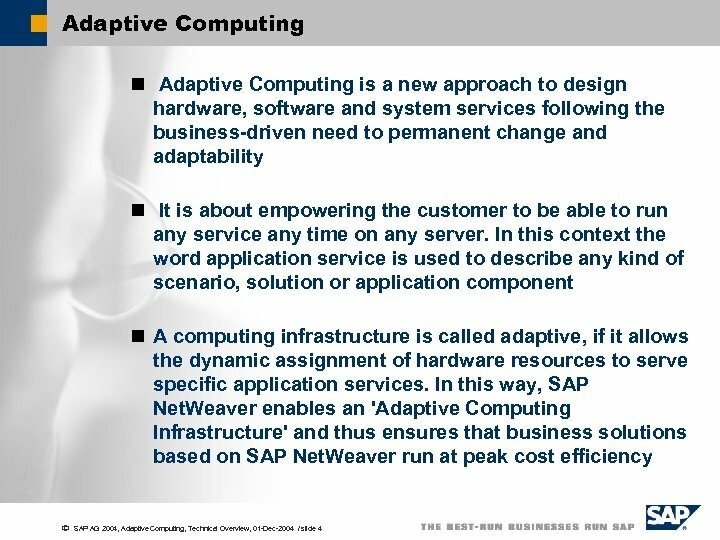 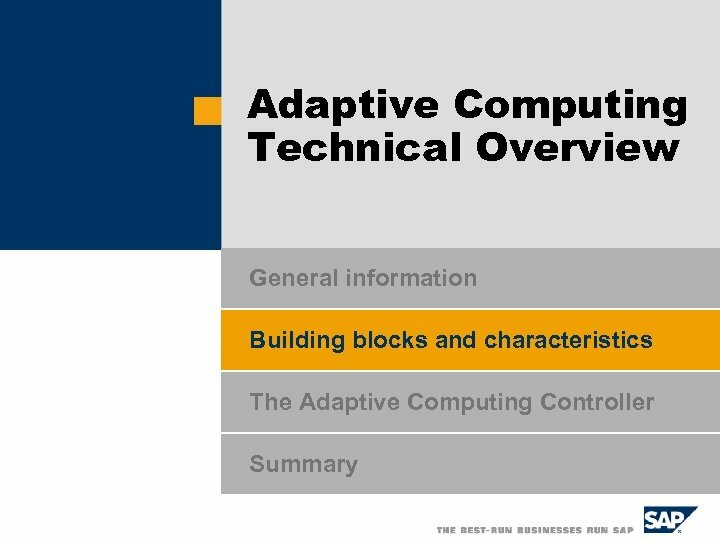 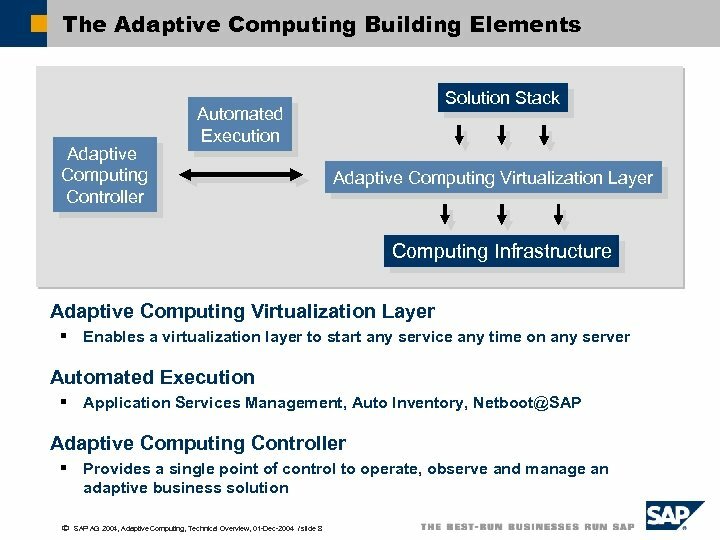 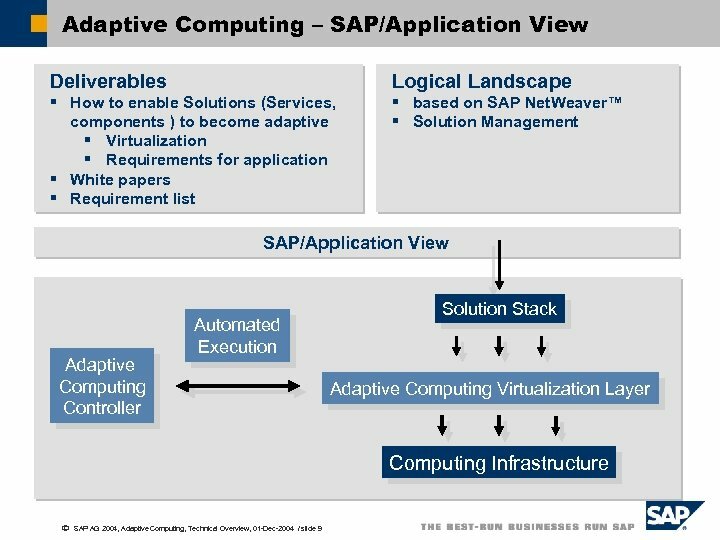 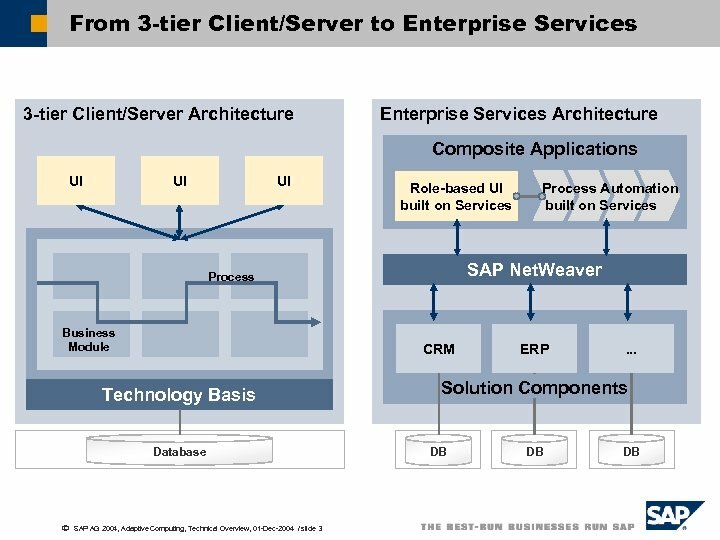 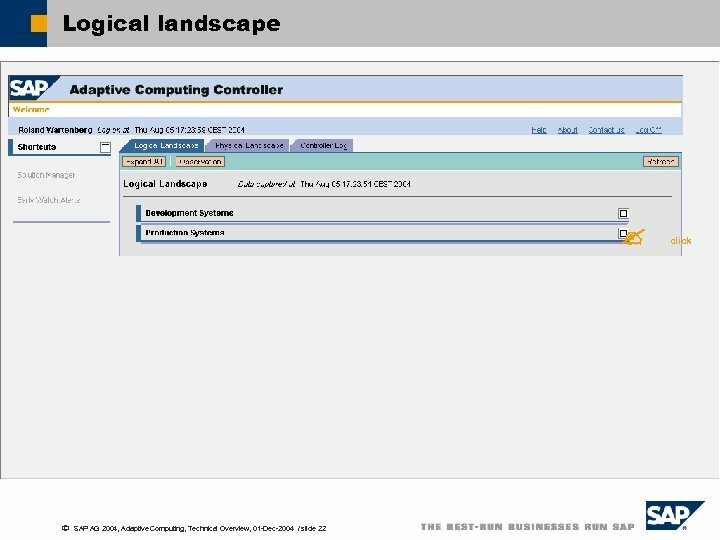 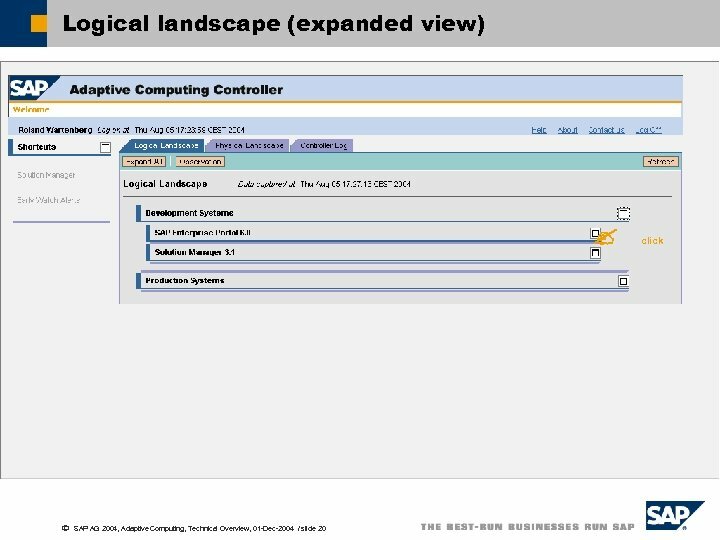 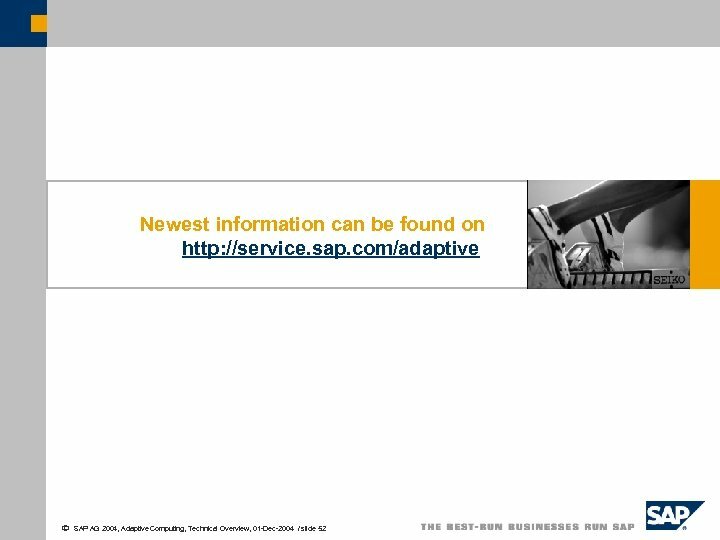 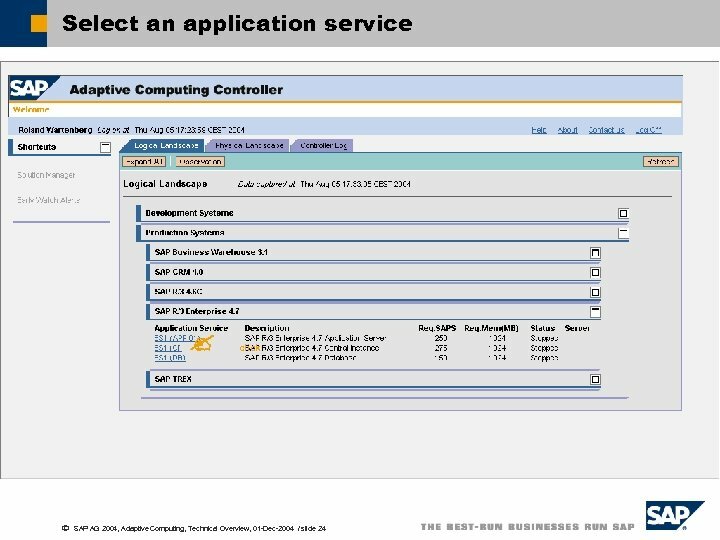 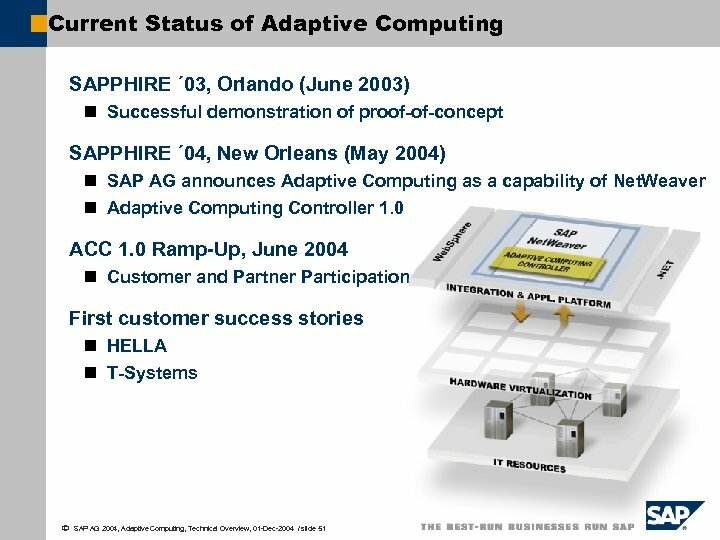 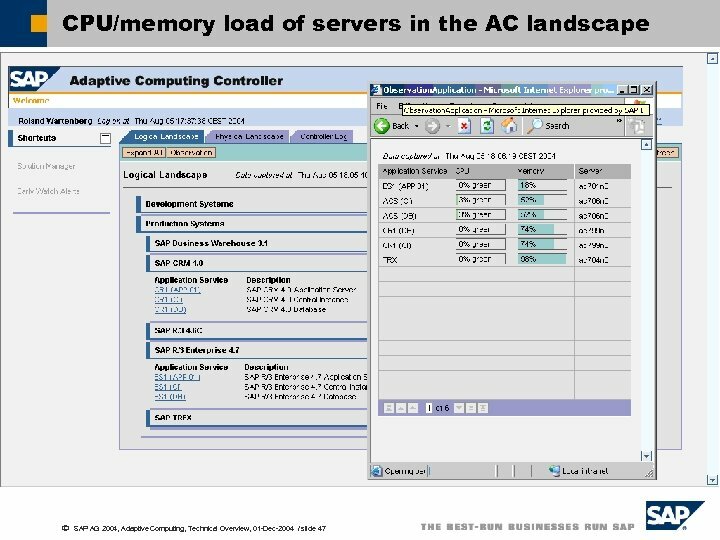 Weaver Capability Adaptive Computing SAP Net. 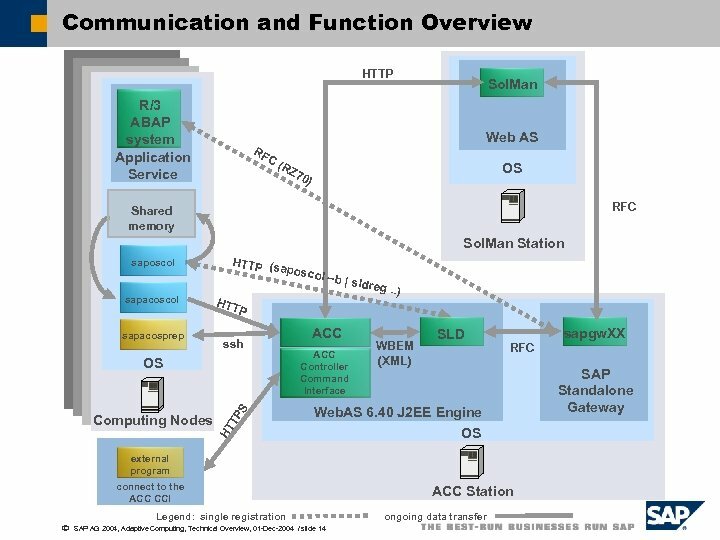 Weaver™ Portal … Collaboration INFORMATION INTEGRATION Bus. 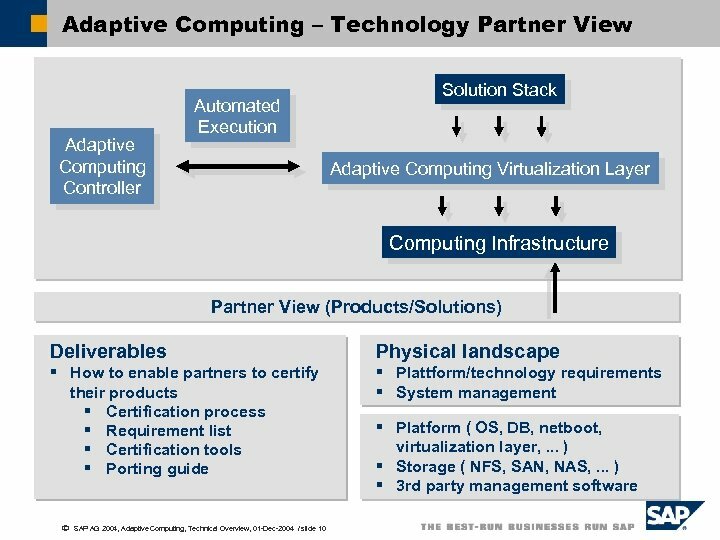 Intelligence Knowledge Mgmt Master Data Mgmt PROCESS INTEGRATION Integration Business Broker Process Mgmt APPLICATION PLATFORM J 2 EE ABAP DB and OS Abstraction Adaptive Computing ã Application Services Storage Operating Systems Hardware IT INFRASTRUCTURE SAP AG 2004, Adaptive Computing, Technical Overview, 01 -Dec-2004 / slide 5 Life Cycle Mgmt Composite Application Framework PEOPLE INTEGRATION Multi channel access SAP Net. 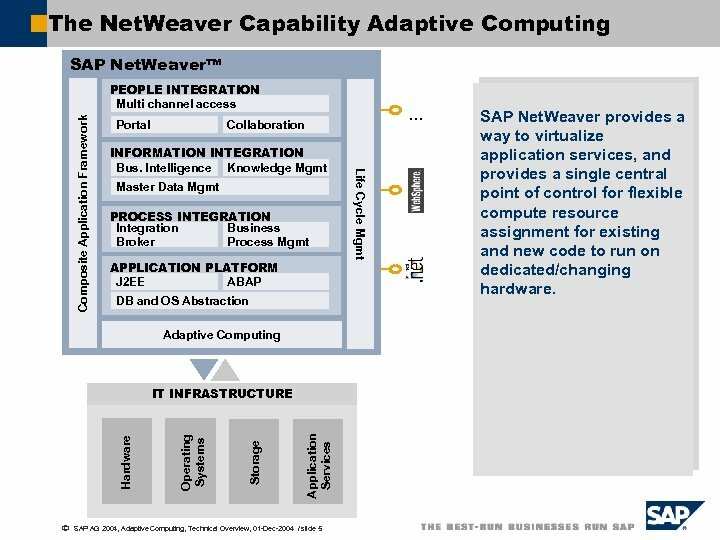 Weaver provides a way to virtualize application services, and provides a single central point of control for flexible compute resource assignment for existing and new code to run on dedicated/changing hardware.